You are currently browsing the category archive for the ‘Ecumenism – a Great Heresy’ category. The interview and sermon were given by Fr. George Calciu in Romania (2005), 1 year before passing in the Lord. Please also see the recent state of unrest unfolding in Greece in regards to the new “Citizen Card”, commented by Fr. 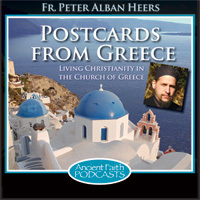 Peter Heers on Ancient Faith Radio. 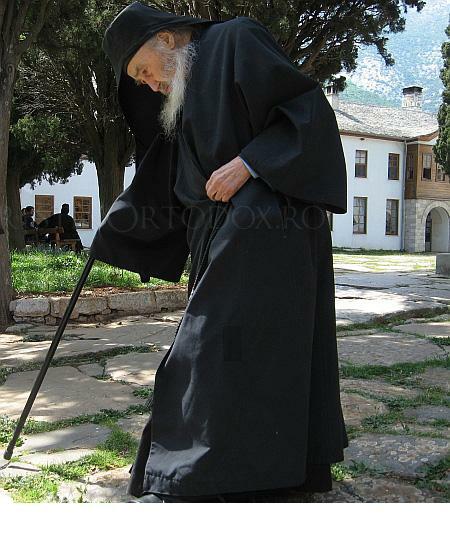 Elder Petroniu Tanase, former abbot of Prodromu Romanian Monastery from Mount Athos has followed sleep in the Lord, Tuesday, February 22. When man withdraws from the world escapes the temptation of sinful words and worldly images. By living in the world, man unwittingly hears and sees things that dirty his soul through his senses. And all these impressions and things of the world that enter his soul carry with them, a psychological and spiritual load. They awake memories you no longer want to remember, create undue spiritual tensions and leave fingerprints – as one may say – or dirty marks in the spiritual life of man. A man living in the world assimilates – even if it’s only in part, some of the sins of the world. As the old saying states that “man is what he eats”, we can also say that man is what he lives in the city, in his village or in his house. And as his body physiological composition is dependent of the materials contained in food that contribute to his good health, so the spiritual state of man becomes dependent on all these images and thoughts that penetrate through his five senses. Man must guard his senses as he would his gateways where friends but especially enemies could enter. Through these windows, dark impressions can penetrate into his soul. These fingerprints can gradually shape the whole structure of man. During our lifetime, many impressions and deeds are recorded in one’ soul like in a book. … And these are the “books” that will be open at the Dreadful (Last) Judgment. Man, until the end his life, is in a permanent transformation through what he hears, what he sees and what he lives. He is like a sculptor carving the wood, a piece here, a piece there… A chip on this side, a splinter on the other side and, little by little, the figure/sculpture appears. At the end of his life, man appears in his final form, modeled by everything he hears and does. And this transformation is noticed sometimes on his face. A wicket or a drunken man who lived a sinful life will show this. His figure acquires a certain appearance, connected to the sins he committed. And we elders can sense this. But these evil fingerprints do not remain at the level of external appearance as we are accustomed to notice, but they will be engraved in man soul. Then at the Dreadful Judgment, when the books will be opened, that man will appear – though the great mystery of God – modeled by everything he did and thought. 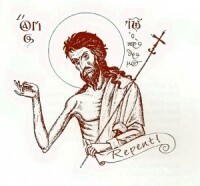 The Holy Fathers and especially of St. Niphon of the Danube says that people who have committed grievous sins, and have not change or repent, will remain distorted for eternity – a reflection of their soul, which after death will become a tangible reality. 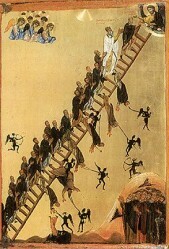 At the Last Judgment the state of man soul, more visible than his body, will portray everything man did. Sinners will have distorted figures and every grimace will reflect the sins they committed. Then – as St. Niphon says – everyone will see the sins we committed in our lifetime for they will be engraved in my personal appearance, they will express like a mirror, the structure of my soul irreparably damaged by sins. All our sins will be expressed and everyone will see our corruption. And what is it said, in our church services, about the Dreadful Judgment? “Oh, who can suffer this scenery?” If now I’m ashamed to visibly sin against my neighbor, how will I look when everyone will see all the sins I have done? 1. The Orthodox Church is and must remain holy. There exists not one thing that can be accomplished without the power of the Holy Spirit. Today the spirit of the world penetrates everywhere, even in the life of the Church, in parishes and monasteries. With the help of the spiritual father, man is called to become holy through Christ who died and rose from the dead in order to deify human nature and to lift it up to heaven to the throne of the Holy Trinity. 2. The monastery ought to be far from the spirit of worldliness. According to St. Maximus the Confessor, a monk must constantly renounce the world and he will gain heavenly treasures. 3. 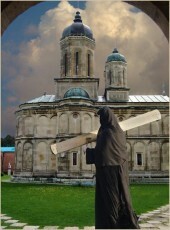 Monasticism resembles martyrdom. 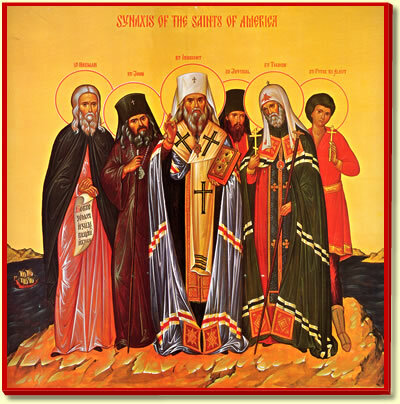 Most saints mentioned in the Church ‘calendar are martyrs, and are followed by the monastics. 4. The monks have been entrusted with the liturgical treasure of the Church. A monk is called to maintain lit the lamp of liturgical life. First of all, he must attend all the daily liturgical services from his monastery. 5. The abbot has to be the spiritual father of the monastic community. 6. In his ministry, the Bishop is called to show firmness in defending the true faith before the heterodox and to promote the purity of life. The lives of St. John Chrysostom and St. Basil the Great ought to be eloquent examples to every bishop. The clergy and the faithful’ confidence in their hierarch is maintain when he remains steadfast in defending the Christian truth and in preserving the purity of life. 7. Gluttony, immorality and the love of money enslaves our world today. Today, many sins are enacted by the so-called “human rights”. But according to the Christian teaching, man has only duties: towards God, his neighbor and God’ creation. “There was a time when the Byzantine emperor of Constantinople – Michael the VIII-th, Palaeologus (1259-1282), seeking the political help of Pope Urban the IV (1261-1264), promissed to cooperate towards “the unification” of the Eastern Orthodox Church with the heretical Pope of Rome. The king’ attempt however, met the steadfast opposition of the patriarch Joseph the Ist (1267-1275). If under differenet circumstances the patriarch would be very faithful to the king, when the king asked for “the union”, the patriarch refused and took the oath that “under no circumstances he may sign a union with the heretical pope.” Nor that he will ever acknowledge the papal authority which is contrary to the Gospel, the Holy Canons and the Holy Tradition. Then, where are we to place the local and Holy Ecumenical Church Synods (Councils)?! Well, they must be vented, because – according to the catholic dogma – the Pope is above all the Ecumenical Councils. Oh my Lord, such a devilish exaltation!!! Pope Clement the IV (1265-1268), successor of Pope Urban the IV cherished the same thought and the same hope. The same can be said about Pope Gregory the X (1271-1276), the follower of Clement. A steadfast “creed” and claims for all Popes and almost the same conditions for the union that the king had asked insistently! 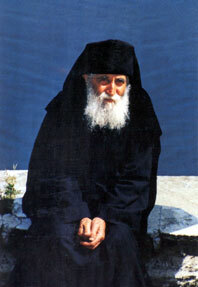 Many theologians and later the whole church, had joined the patriarch Joseph in his resistance. This opposition had angried the king to such a degree that the persecution of faithfull began. Even more, his delegation left for Lyon (1274), France where the pope convened a “unionist” synod, bringing back with them the proposal on the union already signed by the pope. And what were these signed proposals? The same as those each pope had always asked of: the addition of “Filioque” to the Creed, the recognition of pope’s supremacy, and the pope’s right to be mentioned by the patriarchs during Divine Liturgy! And the result? The agreement in question stirred new wave of indignation and revolt among all Orthodox faithful. Almost everyone opposed it and bacause the patriarch Joseph openly opposed the agreenment, he was banished from the Patriarchal Throne. What then? Oh, the heretical patriarch John Beccus the XI (1275-1282) was elected! Soon the opposition arouse from all orthodox ranks: the clergy and the people. Among them: Evlogia, the emperor’s sister, Andronicus Paleologus, John Paleologus, Manuel Paleologus (three of the king’ family) and Isaac Raul were against his position. The Emperor and the new “Patriarch” began to use the most tyrannical means to compel everyone to accept the falls union: fearful martyrdoms, enprisonment, tortures, blindness, the cutting of one’ tongue, killings … A physical author of these tortures was the patriarch Beccus himself! But let us now get back to the subject! In this context, we can understand the persecution of our athonite fathers from the Holy Mt. Athos. When the king and the patriarch have heard of their opposition, they became enraged and overshadowed by the blind passion of revenge: How dare they (some monks) oppose the royal order! How dare these simple monks of Mount Athos will disregard the patriarchal mitre! Let them be persecuted. Because they proved “arongants” and had disconsidered the “unity” with the heretical pope, so they deserve to be subjected to cruel tortures and pay with their blood. 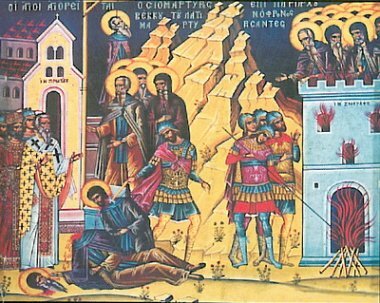 Thus the king’s messengers and the fanaticals latins, armed with stringent provisions and powerful gards, came to the Holy Mountain and began the cruel martyrdom and executions of the “reactionaries ” athonite fathers and Starets (abbots/ Elders). When in the Holy Monastery of Vatopedi at their proposal to join the “union”, the latins encounterd the resistance of the monks, they began torturing the monastics fathers. Detachment of soldiers resorted without hesitation to unimaginable tortures to fulfill the imperial orders. Oh, worthy servants of the Master! It was for your Orthodox faith that you considered this unhuman martyrdom a crown! What a grear honor was to shed their blood for Holy Orthodoxy! Twelve monks, brave witnesses of Christ, heroes and defenders of the purity of faith, fighting with great courage against the betrayal of our Lord Jesus Christ, were led on a hill side near the monastery. It was there (on the hill), that the latins raised gallows/scatffolds, and one by one the brave monks were hanged (as we see on the icon painted in memory of their martyrdom). Bidding each other farewell they were raised on the scaffold and from there to heaven, in the sweetness and delight of the Heavenly Kingdom, where their souls will rest with the righteous. As for the Elder, they reserved other form of martyrdom. Another type of suffering, because according to the Latin thinkers, death on the scaffold was too mild for him. The more Elder Euthymios (Righteous Euthymios of Vatopedi) showed his steadfast contempt and protest towards unification with the heretic pope, the more the emperor as well as pope’s “well-doers” were filed with grey shadows and contempt towards the one who just witnessed the death of his monks. Sparkled by rage… how will they seek revenge? What kind of death are they reserving for him? Near the monastery was the sea. The executors took him on the boat far into the sea and there, bounded in chains, the Elder was thrown at the bottom of the sea. So “their mission” with this monastery was accomplished! Other monasteries were next (in line). The Latin troops as well as the Latin thinkers, adhering to the emperor’ orders, summoned an assembly of all monks living in monastic cells neighboring Kareem. The purpose of the meeting was to compel the Athonite monks and their primate – St. Cosmas, Protos Of Mt. 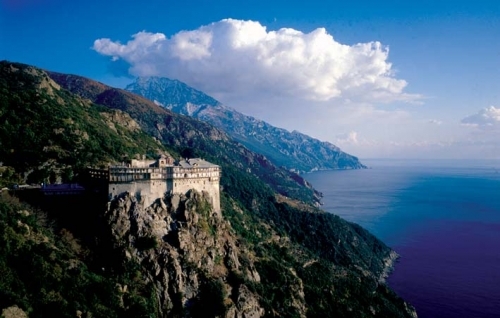 Athos – to approve the union with the “church” of the pope. They had to “think with the Latin mind” and adopt the Latin dogmas. However, all – the Protos and the monks – opposed the proposal of such betrayal. In a single voice and one heart, they were ready to die for the Orthodox faith, the only truthful one. It was in vain that the king’s representatives have threatened the monks by death, and the Protos with the scaffold. With courage and determination to die for their faith, they spoke against the falls union with the pope. You can not reconcile – they confessed – things that are irreconcilable. Can Christ be reconciled with Belial, or with the devil? “What agreement is between Christ and Belial” (II Cor. 6.15). There can be no communion between the East and the West. From the East came illumination and from the West, darkness. So the dialogue was deemed meaningless. In Kareem, the athonite monks remained imperturbable, firm as a rock. And the enemies began their “work”. But the more they were tortured, the more they confessed the Orthodox faith. For this they were put to death. A cruel death: to be hanged and slained. The scatfold for the Protos and decapitation for the monks. The holy land of Kareem was sucked in their precioss blood. In the Holy Monastery of Iveron, one of the biggest on Mount Athos (with a large number of monks), the Latins had used at first peaceful means. They seemed kind and amiable at first sight. They made used of all “opportunities” to convince them to join “the papal Church”. That is what God wants, they would say. It is His will that: “they all be one” (John 17:21). But neither the courtesy, nor the flattery arguments could tempt the monks. The Iveron monks knew very well who the pope was. They knew the history and did not want to make the same mistakes. “Unification” with the pope would mean the greatest betrayal ever made. And they would never commit such betrayal that might hold one smirched with dishonor on earth and in heaven. As for the other athonite monasteries, they shared the same fate. It was blood, martyrdom, and death. And … what else did latins do, “in the name of Christ”?! They commanded the soldiers to gather all the monks. The order was immediately executed and, of course, in a brutal, barbaric, and savaged way. All for the sake of the “Holy Father of Rome”. “The purpose sanctifies the means? !” they said. And the means of arrestment in question was intended to achieve unification only. Will they ever put an end to injustice?! Of course, it could not be so. Other monks shared the same fate. Those who had their origin in Georgia (Iviria) were taken slaves in Italy or, as others relate, they were banished in Italy. The other monastics and fathers – were taken by the military guards, to the quay of Iveron Monastery. Then, they were embarked into a broached boat intended to be sank into the sea. So it happened. 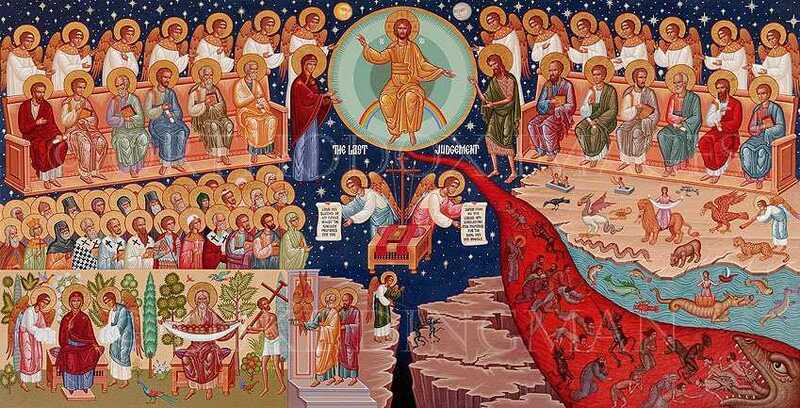 All the Holy Martyrs – the priests and the brothers from Iveron monastery – were sent to the bottom of the sea yielding their soul to Him who spoke through the mouth of the Evangelist John: “Thou be faithful unto death: and I will give thee the crown of life” (Apocalypse, 2:10). In that very moment, they were crown by the angels with the crown of the rightouss martyrs for the one Holy Apostolic Church. They are commemorated every year on May, 13th. In the Holy Monastery Zographou, the papists uses their first weapon to “burn” the Orthodox Creed of the Holy Fathers. And what weapon… the rhetorical art! The athonite fathers were called to recognize the pope as the head of the universal Church in exchange for gold and “papal mercy”. […] The fathers preferred to give their lives than to abandon the faith. Our church commemorates them every year on the 22nd of September. No true Orthodox will ever accept the unification with the heretical pope because the unification in question means obeying the papist rules. The consequences of such obedience will be disastrous and will have a negative impact on the whole Orthodox Church. Today, defenders of orthodoxy stand as guarantors for its safety. Both our Orthodox people and Orthodox monastics living around the Holy Mount Athos always stood as a protective shield against the enemy. This protective shield is alive even today. None of the Orthodox fathers living around the Holy Mount Athos will ever accept such disastrous unification. Disclaimer: This article is not a call to hatred against the pope, as it may seem, but the history has to be revealed in its clarity for us to reflect on the deceit (of Satan) and the darkness one can encounter when it departs from the true faith of Christ and start calling/seeing himself infallible! “The blood of the martyrs is the seed of the Church”, of the true Church of Christ, and their blood is a testimony of how we ought to live our lives following our Master on the cross in order that we might be resurrected with Him. Because when man no longer cares to speak the Truth, then the rocks will (the nature will start fighting against man)…. Heated disagreement at Vienna between the representatives of the Orthodox Church, as reflected in the statements of Metropolitan Ioannupol of Pergamon, the representative of the Moscow Patriarchate: Bishop Hilarion and the Vatican representative for the „unity” of the Christian Churches. Orthodox Typos: the dialogue with the heretics has to stop permanently, “here and now”, in order to stop the harm/deceit of the faithful and the clergy. Alive is our Lord God, Who protects His Orthodox Church. The Metropolitan of Ioannupol was the first of the participants, who made public in an interview, the failure of the Dialogue. – for keeping the faith and the order of the Church which the heretics or schismatics were distorting. It is a way to defend the soteriological path of the faithful. In this context we refer to the bishop’s place in the life of the church during the first millennium and, of course of the bishops at Rome, Constantinople, Alexandria, Antioch, Jerusalem, Salamis, and other important religious centers that were developed in the first millennium, which we referred to. It doesn’t mean that because the Roman Catholics presented points – as they desire to see the place of the bishop of Rome, the Orthodox have to accept them, nor that the Roman Catholics are obliged to accept the points that are presented by the Orthodox regarding the role of the bishops in the life of the Orthodox Church of the first millennium. We are just in the beginning of the dialogue, to prepare proposals for a later stage to be sent to our Holy Synods for decisions. ‘Despite media allegations, there was no openness in the meetings of the Commission for Theological dialog between the Orthodox and Roman Catholics in Vienna, ” Kir Hilarion added. ‘ Our view is that this text requires an essential review in what follows, and only after that it can receive the status of an ‘ auxiliary text material’ ( instrumentum laboris ), which will be used to prepare future texts, but it will have no official status “, said Kir Hilarion added. 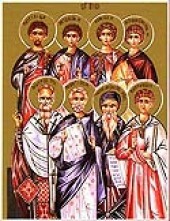 “For it is very evident for the Orthodox members that in the first millennium, the Bishop of Rome in the West did not exert exclusive jurisdiction over the Christian Church in the East, because in the East, the Church was divided territorial between the four patriarchs of the Constantinople, Alexandria, Antioch and Jerusalem, ” he stressed. „The Bishop of Rome had no direct jurisdiction in the East, although in some historical cases resorted to the Eastern bishops in theological disputes by arbitration”. ‘But these appeals were not systematic and can not in any way be interpreted as meaning that the Bishop of Rome in the East was seen as holder of supreme dominion over the Ecumenical Church”. „I hope that at the next meeting of the Commission, the Roman Catholic Church will accept this position, which is based on countless historical evidence, ” the president for External Relations of the Moscow Patriarchate added. 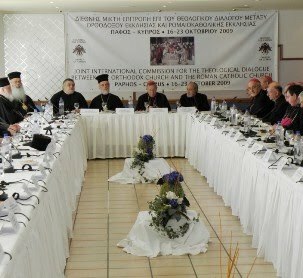 The Ecumenist Metropolitan of Pergamon: Ioannis Zizioulas, admitted there are issues and agreed with the Vatican representatives for the „unity”, that this model of unity is deemed for the future. ‘ Of course we must be united in faith a lot. Regarding an Pan – Orthodox Synod, we worry – and we admit it – that the autocephaly is a problem mainly when it is linked to nationalist themes. But I ‘m happy to say that we made a satisfactory progress towards a Pan -Orthodox Synod. The Ecumenist bishops, the Phanar (Ecumenical Patriarchate) and the Church of Hellas (Greece) must stop these kind of theological dialogues, for they expose and scandalize the faithful people. The Papists have demonstrated once more at Vienna that are unrepentant and inflexible in their heretical theories such as the primacy and infallibility. They had demonstrated that they refuse the synodalicity. And, it is finally shown, that the representatives of the Orthodox Churches do not have a common position or vision on the ‘unity’, and that they do not consider papacy, “a sister Church”. To continue the Dialogue means a real provocation for the people of faith. On another occasion I was relating to him how the Spanish in California had imprisoned fourteen Aleuts, and how the Jesuits (actually Franciscans) were forcing all of them to accept the Catholic Faith. But the Aleuts would not agree under any circumstances, saying, ‘We are Christians.’ The Jesuits argued, ‘That’s not true, you are heretics and schismatics. If you do not agree to accept our faith then we will torture all of you to death.’ Then the Aleuts were placed in prisons two to a cell. That evening, the Jesuits came to the prison with lanterns and lighted candles. Again they tried to persuade two Aleuts in the cell to accept the Catholic Faith. ‘We are Christians,’ the Aleuts replied, ‘and we will not change our Faith.’ Then the Jesuits began to torture them, at first the one while his companion was a witness. They cut off one of the joints of his feet, and then the other joint. Then they cut the first joint on the fingers of his hands, and then the other joint. Then they cut off his feet, and his hands. The blood flowed, but the martyr endured all and firmly repeated one thing: “I am a Christian.’ He died in such suffering, due to a loss of blood. The Jesuit also promised to torture his comrade to death the next day. We know very little about St Peter, except that he was from Kodiak, and was arrested and put to death by the Spaniards in California because he refused to convert to Catholicism. The circumstances of his martyrdom recall the torture of St James the Persian (November 27). It is believed that Peter was only 14 years of age at the time of his martyrdom. Promising progress between Catholics and Orthodox at Vienna? And the true voice of the faithful…. “The Symbol of the Faith must be preserved inviolate, as at its origin. Since all the holy doctors of the Church, all the Councils and all the Scriptures put us on our guard against heterodoxy, how dare I, in spite of these authorities, follow those who urge us to unity in a deceitful semblance of union—those who have corrupted the holy and divine Symbol of Faith and brought in the Son as second cause of the Holy Spirit” (s.v. Jan 19th in The Synaxarion, ed. 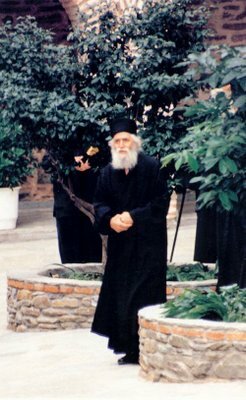 Hieromonk Makarios of Simonas Petra, and trans. Christopher Hookway; Ormylia: Holy Convent of The Annunciation of Our Lady, 2001). The International Joint Commission for Theological Dialogue between the Orthodox and Roman Catholics (Papists) meets in Vienna from Monday, September 20 to September 27, 2010. The Joint Commission representatives will be hosted by Cardinal Christoph Schönborn. The Committee’ plenum will continue the discussion on “The Role of the Bishop of Rome in the communion of the Church in the first millennium”, that began October 2009 in Cyprus during the Commission’s dialog. Co – President for the Orthodox will be Metropolitan of Pergamon: Ioannis (Zizioulas), while the Church of Greece will be represented by Archbishop Chrysostomos of Messinia. 1. 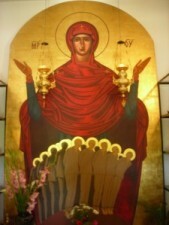 At the previous meeting in Cyprus, the Church of Bulgaria – upon Synodical decision – has refused to join. It is unknown what will happen at this year’s meeting……. 2. The Commission’ meeting is usually preceded by separate meetings of the Orthodox and the Papists delegations. It is known that among the Orthodox members there is no absolute agreement on the position of “papal primacy”. And ultimately, which line will the Orthodox representatives hold in this dialog? 3. During the previous session, the Commission’s work was preceded by separate Liturgy of the Orthodox where the papist were present and, the Catholic Mass attended by the Orthodox representatives. Will this practice of common prayers continue and this time of the Dialogue? Than the beginning of the Commission’ work is already done in violation of the holy canons that prohibit common prayers. 4. At this time, it is almost certain that the Commission’s work will reach a common text. In case this won’t happen, then such dialogue, as the one from Cyprus, is just another deadlock. What is the agreenment on the papal primacy that the Orthodox will sign with the Papists? Does anyone expect the true repentance of Vatican and repudiation of the falsehoods of the papal primacy? Or perhaps they will end with the popular theological “compromise” on the “primacy & ministry” of the Pope? In any case, the “dialogue” with its terms, conditions and participants, could not lead to the Papists repentance. Its only goal, like the previous ones, is to promote pan-Christian ecumenism/unity, with reciprocal concessions and compromises. But such “union” will never be accepted by the clergy and faithful people who vigilantly watch over the movement of the Papists and the Ecumenists. […] With all due respect, then, which we have for the Ecumenical Patriarchate, let it be permitted us to say, that the contemporary state in general in the orthodox sphere, and particularly in the region of the jurisdiction of the Ecumenical Patriarchate, judged by orthodox criteria, as are the sacred canons, is not at all pleasant, but engenders great dangers. And behold why. •a) “Beware of the pseudo-prophets, who come to you in sheep’s clothing, but within are ravenous wolves” (Math. 7:15). •b) “And Jesus said to them: Look (out for yourselves) and be careful, (keep guard) from the leaven of the Pharisees and Sadducees” (Math. 16:6). •c) “Quit (communicating with) a heretical man after the first and second admonition” (Titus 3:10). •d) “If somebody comes to you and bears not this teaching, do not accept him into your home, and do not greet him” (2 John verse 10). •1) The yearly concelebrations by orthodox and papists of the enthronement feast-day of the apostle Andrew (November 30) in the patriarchal church of the Phanar. Also the concelebration of the corresponding enthronement feast-day of the apostle Peter (29 June) in Rome by the papists and orthodox, and during these concelebrations the relative addresses and counter-addresses, and the exchange of gifts. •2) The addresses that are delivered, counter-addresses, and joint prayers in orthodox churches during the visits of the pope in Sydney, Australia (in December of 1970), in Constantinople (the year 1979), in the patriarchal temple of Sambesy in Geneva, Switzerland (in June of the year 1984), and in Canada (in September of the year 1984). •3) The joint prayers and observances of common liturgies by orthodox and papists during the conventions of members of the so-called Theological Dialogue in Patmos-Rhodes (the year 1980), in Monacho of Germany (in July of 1982) and in Chania-Crete (end of May – beginning of June of the year 1984). •4) The observed joint prayers at the conventions of the “World Council of Churches” (W.C.C. ), as also at its last general convention performed in VancouverCanada in the fall of the year 1983. •5) The exchanging of gifts from time to time between papists and orthodox high-priests in Rome and elsewhere, on the occasion of various occurances (visits to the Vatican, the returning of sacred relics on its [Vatican’s] part to sacred metropolises of the Church of Greece, and so on). 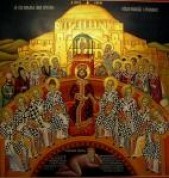 •6) The public and spectacular reception of cardinal Vilemrants by the orthodox church of Crete, who followed the orthodox divine liturgy in the sacred church of Saint Mena in Heraclion, dressed in priestly adornment and finally blessed the orthodox people from the beautiful gate of the above [mentioned] sacred temple. •7) The ecumenical co-prayer or joint prayer of orthodox and papists in the orthodox church of Brussels of Belgium, in which, on the part of the orthodox participated the previous metropolitan of Belgium mr. Aemilianos. •8) The performance of a trisagion by orthodox high-priests of the ecumenical throne before the corpse of pope Paul the 6th who had passed away in the year 1978. •9) The event during the enthronement of the metropolitan of Sweden (of the ecumenical throne) mr. Damascene, of a joint prayer session of orthodox, papists, and protestants in the sacred temple of Saint Paul of Geneva. •10) The referral made during the year 1983 for the transmission of the divine eucharist to the papists by orthodox clerics of the sacred archdiocese of Thyateron and Great Britain, as also the participation more previously (in the year 1979) or orthodox clerics of greater London in an ecumenistical vesper service within the papal temple of Westminster. •11) During the past year (May-June 1984) the reception and entrance into orthodox churches of cardinal of Vienna, Kainich, as also his entrance and his co-prayer or joint prayer held with orthodox in a sacred monastery of Mount Athos. •12) The participation of the metropolitan of Germany, mr. Augustine (Lambardaki) in an ecumenistical worshipful function (blessing of the sweet bread) in July of the passed year 1984, as the newspapers of Stuttgard wrote up. There is a “spirit” unveiling in Europe and the world in general, a (proteic) New-Age kind of spirit that frequently changes its appearance and speech, striking the Christian world from all sides. Its image is generally gentle, its discourse attractive, but its intent perfidious. This spirit can speak in beautiful words about family, but its intent is to annihilate it. It can also sermonize on the Church, full of “love” for all, a sort of religious syncretism, but its urge is primarily to dispel Orthodoxy. It can speak about nations and their homelands as something that it tries to support, but its intent is to destroy both the Church and the nations. This spirit is called ecumenism. In this “New Age” spirit I’m referring to, nothing exists with an absolute value. For their intent is to destroy all the elements of the Faith, the moral elemets, the elements of kinship on which we have relied, since – so to say – there is no absolute truth. The truth, according to them, is that which I possess [i.e. subjective truth]. And therefore, when my neighbor is wrong, I cannot tell him: “You’re deceived!” Nor can he tell me that I have erred, because we are absolute entities [onto ourselves]. We have our opinions which are absolute, but before others, they hold no value! This game of hiding the truth is an insidious invention of Satan. Interviewer: – Father, can a Christian, a Muslim and a Jew live together in peace and harmony and what would be the secret? Fr. George: – Their mutual respect; this is the only manifestation of good harmony. In no case, the participation in common prayer or services. These are things that break the elements of dogma of different religions. Interviewer: – Does everyone worship in the same God? Fr. 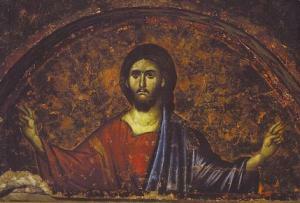 George: – Not always… We only know One (Trinitarian) God, Who reveals Himself to us and we worship Him. Other forms of gods are distorted or false. Interviewer: – What do you believe to be the greatest temptation that an orthodox faithful faces today? Fr. George: – No. Absolutely not. For that ecumenism is a more subtle form of masonry. Masonry tries to destroy the Orthodox faith and the Christian faith in general. Ecumenism is trying to cling on few ideas that seem very generous: why shall we argue among ourselves, let us live like brothers, let us love one another, we can worship together and pray together … things that are not allowed in Orthodoxy. 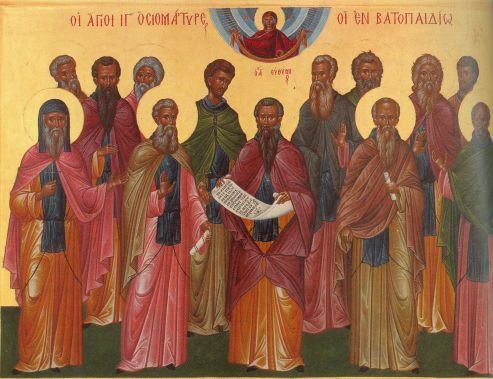 All the 7 Ecumenical Councils forbid the co-prayer with those apart from Orthodoxy. If we do not obey these canons, and become subject to ecumenism and the pressures and promises of the West, which are all vein lies, it means that we violate all canons of the Orthodox Church, the only true ecumenical one. Interviewer: – Under the current state of the media when Masonry is so publicized, please underline few elements as of what this anti – Christian movement means! Fr. George: – Masonry is a demonic organization that worships Lucifer, has some secrets and keeps them firmly, but reveals itself to the world as a charitable organization that takes care of the poor. Every Masonic Lodge deals with Unitarianism or an order, but beyond these facts, the Spirit of God is absent and all these are made up for deceit. So (my child), do not be fooled by it. Not everyone who speaks promptly in the name of God has Him in his heart, and they have Him the least. The greatest danger is this process of globalization and the anointing of some individuals entitled to lead mankind. Who is anointing them? They are the anointed sons of Satan and not sons of the living God. As for us been “small” and having no “powerful speech”, let’s keep our faith and let us not forget that we represent the true faith that saves, and lets strive with all out power to fulfill the duties to our nations and our Church. 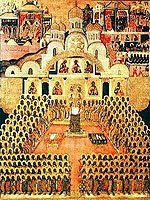 – the Seventh Council in 787, of the 350 Holy Fathers who assembled in Nicaea for the second time to condemn Iconoclasm. Faith has its place in a balanced Orthodox environment, and a natural relationship with the world. What I mean is that we live in the world and must do what it takes to survive in it, but not at the cost of compromises, betrayals, or renouncing Christ. 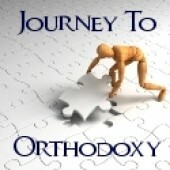 Orthodoxy gives us balance. We (the cradle Orthodox), possess a very ancient tradition. 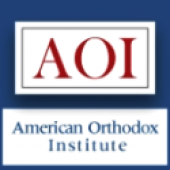 I look at the American Orthodox. They are very passionate for Orthodoxy, but they’re locking Holy Tradition. So, in a sense, they are streams branching off the Russian, Bulgarian, Serbian, or Romanian tradition, since they do not have that traditional instruction from their ancestors, as we do. 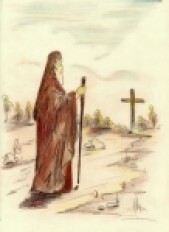 We stand on a firm rock: the teachings of the Holy Fathers, the ascetic experience of the desert’ monks, the entire Orthodox Tradition handed to us in patristic books or by Oral tradition; and these, regardless of our sins, constitutes a stone foundation, that unshaken ground where our feet may walk and not sink, like a boat in which Jesus is present. We do not sink because we hold fast to tradition. Yes, we are sinners, but God preserves us when we follow Him and the teachings of the Holy Fathers, even though sometimes we fail… But is there anyone without sin? Is there anyone who has not been tempted? Who does not dirty his soul with evil thoughts, deeds or lust? But aside from all these failings, we have an unshaking ground. This ground is the Orthodox Church, the tradition of the Holy Fathers, the Seven Ecumenical Councils, the struggle (experience) of the saints in the wilderness of Thebaida, Sinai…,in our country (Father refers here to Romania, his former country – tr.n. ), and the monasteries found everywhere. Having this reaches, we do not sink. So here is how far he would go! He accepted everything that demeaned him, but when he was tempted on heresy, he stood fast and said no. This is where the limit of tolerance is. When that tolerance goes beyond God and the Truth of our Christian faith, it becomes a blasphemy to our Lord and our soul. The Holy Fathers had settled in Councils all aspects of church dogma that nowadays are trampled on. In the decisions of the Holy Synods many things (happening today), were foreseen: from heresies, ecumenism, denying God, public fornication, accepting as virtues: vices and perversions, to the fact of being proud to declare yourself gay. There’s no passion that the Holy Councils have not anticipated or spoken on, as they declared: him who does these is a heretic and a lunatic departed from faith and the Church . “Your Holiness, God gave me a gift. He gave me “the gift” of suffering and through it I became wiser. Perhaps not wise enough considering all that I’ve been through (father is referring here to his 21 years of suffering in the communist gulag for having confessed the Christian faith – tr.n. ), but the wisdom that God grant me gives me strength to speak up this word for Christ, for the Church and my nation;” and now I have to confess, for if I keep silent I’ll be like everyone else (who does not confesses Christ – tr.n). Because tolerance has a limit: that is not pushing beyond faith, or God. Beyond that, there is no tolerance. What I wrote here, I wanted to express to the hierarchs. But I think such letter would be doomed to be forgotten due to lack of interest and may be a cause for anger. What remains for us is prayer for the guarding of monasteries, for the inner peace of the monks and for the un-disturbance of the Orthodox life in our country and the world. The humble are like nightingales that hide in ravines and spread joy to the souls of men with their sweet songs. We mustn’t despair when we struggle and continuously see nothing but the slightest progress. We all do nearly nothing, some a little more, some a little less. When Christ sees our little effort He gives us an analogous token and so our nearly nothing becomes valuable and we can see a little progress. For this reason we mustn’t despair, but hope in God. Unfortunately, in our days, there are many people who upset the mother Church. Of these, those that are educated have understood dogma with their minds and not with the spirit of the Holy Fathers. At the same time, those who are unlettered have grabbed hold of dogma with their teeth, which is why they grind their teeth when they speak about ecclesiastical topics. In this way, greater harm is caused by those in the Church than by those who battle it from without. That which is asked of every Orthodox person is to instill a “good uneasiness” into the heterodox,’ that they might understand that they are in delusion. This is so they will not falsely calm their conscience and thus be deprived in this life of the rich blessings of Orthodoxy and in the life to come of the even greater and eternal blessings of God. The person who is possessed by material things is always subjugated to unhappiness and anxiety, for on the one hand he trembles for fear that they take his things away from him, while on the other he trembles for fear that his soul be taken from him. Now, the miser whose hand is sore from his tight hold on things, also squeezed his own heart, and turned it into stone. In order for him to be healed, he must visit unhappy people, to suffer, so he will be forced to open his hand slowly, slowly, and his heart of stone will also start to soften. It will become a human heart and in this way the gates of Paradise will also open. When a monk doesn’t find spiritual work, he cannot be helped even by his elder, and spends his time with external things. He becomes spiritually wild and, even if he was to be tied down in his cell, he could not sit still. He will always enjoy contact with people, to give tours, to speak about the domes and archeology [of the monastery], to show them the pots with various flowers, to treat them to rich, worldly meals, and to give rest only to worldly people. The monk is helped greatly when the monastery is far from the world, far from archeological areas and worldly noises. Even monasteries that are great sites of pilgrimage lose sight of their true goal, for many times from being a monastery they end up as a business. For this reason some bishops, very rightly, would like to have these sites, for monastics must love poverty, which they were ordered by God to preserve. Unfortunately, however, they do not limit themselves to the necessary, the simple, as much for themselves as, more generally, for the monastery. Nor do they refuse things from the faithful, or encourage them to help, on their own, our poor, suffering brethren. But what do they do instead? They gather the sweat even of the poor and fill the monastery with a huge amount of oil lamps and bells, thinking that God is glorified in this way. This type of piety, however, is like the piety which many Russian clerics had who became the cause, though they didn’t intend it, of the oil lamps, chandeliers and bells being made into cannons so as to hit the very Church of Christ. When an elder doesn’t have much experience, but has a great deal of love and much humility, he is able to help his spiritual children by means of the guidance of more experienced elders, as well as by the grace of God, which he continually receives due to his great humility. However, the young cleric who gathers young people as his disciples reveals his great pride, which he has down to the marrow of his bones. He is like a baby born with a beard-a monster-and those that follow him reveal that they have an ailment of the brain or heart. Also, those clerics who study psychology so as to help souls using human contrivances are not spiritually well. The strange thing is that their teachers of psychology don’t believe in God or in the existence of the soul. If they accept the soul’s existence, they do so in their own unique way. In this way these clerics show that they are spiritually sick and that they need to be examined by the Holy Fathers. Having been healed, they would be able to discern, on their own, the sick spirit and would experience divine grace at the same time. Thus from that time forth they would use the divine energy for those suffering souls and not human contrivances. Those who rush to be made spiritual fathers, though they still have many spiritual toxins, are like unripe, sour quince, which, as much sugar as we may pour on, never becomes a nice sweet; but, even if it does, it quickly gets sour.’ Sweet words and great truths have value when they come from genuine mouths, and are received only by those souls that are well-disposed and by those great people who have a pure mind. One word of a humble and [spiritually] experienced man that is painfully born from the depths of his heart has greater worth than a bunch of clever sayings of an external mans that come out quickly from his educated mouth. His words don’t speak truth to the souls of men, for they are fleshly words and not the flames of the fire of Pentecost. If a passionate man tries to correct an egotist, steel hits flint and fires are ignited! If he tries to correct a sensitive person, he hurts him greatly. It would be like a wild man taking a thick wire brush to clean out a little mucus from a baby’s eye. What a wonderful thing it will be when we know ourselves! Then humility will be for us a state of being, and God will position us well with His divine gifts. Then the spiritual laws will cease working, and the one who rises the highest will humble himself, for we will all walk low, we won’t fall and we will continually receive the grace of God which is given to the humble. Holy asceticism, together with its great self-denial, which is born from great faith in a burst of love for God, brings man to true joy. He is happy to live, for his heart flutters, glorifying his God of benefactions. He is also happy to die, for he thus goes close to God again, and will continue there his doxology. Virtue has the habit of betraying man, wherever he may hide. Though he may act as a fool-for-Christ,’ still he will be betrayed, though it may bee later on, and he will help many souls. The goal of reading is the application, in our lives, of what we read. Not to learn it by heart, but to take it to heart. Not to practice using our tongues, but to be able to receive the tongues of fire and to live the mysteries of God. If one studies a great deal in order to acquire knowledge and to teach others, without living the things he teaches, he does no more than fill his head with hot air. At most he will manage to ascend to the moon using machines. The goal of the Christian is to rise to God without machines. Let us not expect the spiritual spring if we don’t first pass through the spiritual winter during which the spiritual vermin die. We mustn’t expect the divine to blossom within us if the human hasn’t first died. Costly (fervent) love, which sacrifices itself and does not partake of the world, is itself consumed by the love of God from within. The life of man is then a continuous Lent and all of his days are a continuous joy of light. Costly love for God, with its sacrifices sweetens the heart to boiling, and divine love, which cannot be held in, like steam, soars and so unites to God. This state of spiritual madness not only takes man out of himself, but even the heart is taken from the flesh, that is, from the fleshly desires, and is clothed completely in, and refined in God. Those who constantly partake of the love of God are often indifferent to material nourishment. Or, if they eat, they don’t taste the food, for even then they continue to feel God intensely and to partake of the sweet blessing of His love. When the heart becomes a furnace through the love of God, it is then able to burn up all vanity that approaches, and this brings internal peace when man passes through the fiery trials of his life. It is very helpful to read a bit of the Gerontikon before beginning to pray. Then your heart will warm up, the lid will come down on your many worldly cares, and you will be able to pray without distraction. In the hour of prayer, when our mind wanders to thoughts of bad things, or if these thoughts come without our wanting them, we shouldn’t wage an offensive war against the enemy, because, even if all the lawyers in the world joined together, they wouldn’t make any headway with a little demon. Only through ignoring them can one chase these thoughts away. The same is true for blasphemous thoughts. If you want to grab God’s attention so He’ll hear you during prayer, turn the dial to humility, for God always works in this frequency; then humbly ask for His mercy. My brother, don’t ask for anything in prayer except for repentance. Repentance will bring you humility, humility will bring you the grace of God, and God will uphold you in His grace and will give you whatever you need for your own salvation as well as whatever is needed, should the case arise, for you to help another soul in need. When man is spiritually healthy and distances himself from other people, so as to better help them through his prayers, then he regards all people as holy and only himself does he regard as a sinner. If we haven’t got control of our mind during the hour of spiritual study we are not benefited at all. We simply yawn and tire ourselves without a goal, for we cannot remember anything. In the same way, when the printer doesn’t have his mind on his work and forgets to put ink in, the printing presses work without printing anything. All evil begins in the mind, when it is interested only in science. Scientists don’t find their inner peace and their balance then. However, when their minds are attached to God, scientists use their science to cultivate their inner world and to help the world, for their minds are sanctified. The mind, when it begins to spend time near God, oftentimes forgets, not only its dwelling, but even this dwelling of the soul, this earthen flesh. In all things we must put forth good thoughts and refuse to accept evil telegrams” if we want to purify our heart and change the evil machines of the heart into good machines; then gold will be turned into holy chalices and broken bells into chandeliers.’ Even discarded paper will be turned into fresh napkins. When, however, the heart is evil and it views good gold as bronze, it will make it into bullets and cannonballs. Oh, blessed desert by which created man is so greatly helped to be reconciled with his Creator, and is transformed into an earthly Paradise – as you gather once again the wild animals around the person you tamed! As much as is possible, love the desert and the immaterial life, and fly from your material possessions to the fold of the poor. Simplify your life so as to be freed from worldly anxiety, so that your life might have meaning. Conscience is the first law of God, which He carved deeply into the hearts of the first-created. 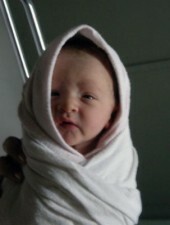 In turn we each make a photocopy from our parents when we’re born. Those who manage to heighten their sense of conscience through daily study of themselves feel themselves to be foreigners in this world, and worldly people are baffled by their gracious behavior. Those who haven’t studied their conscience benefit neither from their spiritual studies nor from counsels from their elders. They won’t even be able to keep God’s commandments, for they have lost their senses altogether. The soft life makes people useless. Without toil and struggle sanctification doesn’t come. When one realizes one’s sinfulness and the great mercy of God, the heart cracks, as hard as it may be, and real tears fall of themselves and then man prays and weeps without effort. This is because humility works continuously together with philotimo and drills on the heart so that the springs increase, and the hand of God continually strokes the hard-working and philotimo child. Christ is wholly love, goodness and consolation, and never suffocates. He has an abundance of spiritual oxygen. [God allows temptations] so as to dust off our soul, for it to be purified through sorrows and weeping, so that we are forced to take refuge in God for our salvation. Theology is the word of God that is comprehended by pure, humble and spiritually reborn souls. It is not the beautiful words of the mind which are formed with philological artistry and which are expressed with the juridical or worldly spirit. Created words can’t speak to man’s soul, just as a beautiful statue is not able to speak, unless the audience is very worldly and is satisfied simply by beautiful words. Theology that is taught as a [worldly] science usually examines things historically and consequently understands things externally. Because patristic asceticism and inner experience are absent, this theology is full of doubts and questions. With his mind man is not able to comprehend the divine energies unless he first struggles ascetically to live these energies, so that the grace of God might work within him. Children contract their first spiritual colds from the open windows of their parents’ senses. The mother passes on her cold especially when she is not modestly dressed and scandalizes her children with her behavior. The holy life of parents instructs the souls of their children and so they naturally obey them and grow up with piety and without psychological problems, and the children are pleased with their parents. The parents are gladdened by their children in this life and in life eternal, where they will once again glory in them. Whoever is at peace in the material world and is not concerned about the salvation of his soul is like the senseless birds who don’t make a noise from within the egg, so as to break the shell and come out to enjoy the sun-the heavenly flight in the life of Paradise-but instead remain unmoving and die inside the egg shell. The pretense of worldly politeness is very harmful, for it fools one and opens one’s heart to the worldly person, and in the final analysis it wastes one’s piety, for the worldly person doesn’t know what piety is. It’s like giving golden pounds to people that only know bronze pennies. Blows are necessary for the salvation of our souls, for they cleanse the soul. The more one hits and rubs clothing, the better it is cleaned. Similarly, the more one hits octopus and cuttlefish, the more they are softened and washed from ink. Live in constant glorification of and thanksgiving towards God, for the greatest sin is ingratitude and the worst sinner is the ungrateful person. At the beginning of the spiritual life, out of love, God doesn’t allow anyone to realize either his sinfulness or the many benefactions that He bestows on him, so as to keep him from despair, especially if he is sensitive. Those who are in the world must not despair when they are overcome by many passions, and when their nature is unruly and races passionately downwards. Rather, they must trust in the almighty power of God and turn the steering wheel of their powerful engine back onto the road toward God, upwards. Soon after they will pass other, slow-moving cars, which for years have been driving the road toward God. — Geronda (elder in Greek), what books should be read by those who are beginning their spiritual search? — First, they should read the New Testament to learn the meaning of Christ, to be shaken up a little; later they can read the Old Testament. Do you know how hard it is when they have read nothing and yet they come to ask for help? It is like an elementary school child going to a university professor and saying, “Help me.” What can the professor tell him? “One plus one equals two”? Others, again, are not spiritually restless; they come and say, “Father, I have no problems and I am just fine; I only dropped by to see you.” Man can never say that he has no problems, no concerns; he will have something. The struggle for the spiritual life never ends. Or some people come and tell me, “Tell us spiritual things.” It is as if they went to the grocery store and said, “Give us some groceries.” The grocer is at a loss and needs to know what they need. They need to say, “I want so much sugar, so much rice, and so on, but they only say, ‘Give us groceries.’ “It is like going to the pharmacy and saying, “Give us medicines,” without first saying what their illness is, or whether or not they went to the doctor, and what he advised them to do. Go figure! You see, whoever is seriously concerned over his spiritual condition knows, more or less, what he is lacking, and once he seeks it, he benefits. As a novice, when I read something I liked, I wrote it down so as not to forget it, and I would try to apply it to my life. I didn’t readjust to pass my time pleasantly. I had a spiritual restlessness and, when I could not understand something, I would ask for an explanation. I read relatively little, but I checked myself a great deal on what I read. “What point am I at? What must I do?” I would sit myself down and go through such a self-examination. I did not allow what I read to pass me by untaxed. Today with so much reading people end up like tape recorders, filling up their cassettes with superfluous matters. According to Abba Isaac, however, Wisdom not based on righteous activity is a deposit of disgrace. You see, many who are interested in sports read sports magazines and newspapers while they are sitting. They may be like the fatted calf, but they still marvel at the athletes. “Oh he is marvellous! He is great! Bravo!” But they don’t work up any sweat, and they don’t lose any pounds. They read and read about athletic events, and then they go and lie down; they gain nothing. They are satisfied with the pleasure of reading. Some worldly people read newspapers, others romantic literature or an adventure novel, still others watch a football game at the stadium and pass their time. The same thing is done by some people who read spiritual books. They may spend the whole night reading spiritual books with great intensity and be content. They take a spiritual book, sit comfortably, and begin reading. “Oh, I profited from that,” they say. It would be better to say, “I enjoyed myself, I spent my time pleasantly.” But this is not profit. We profit when we understand what we read, when we censure ourselves and discipline ourselves by applying it: “What does this mean? Where do I stand in relation to this spiritual truth? What must I do now?” After all, the more we learn, the more responsibility we have to live up to what we have learned. I am not saying that we should not read so that we can plead ignorance and therefore be free of responsibility, for this is a cunning deception; I am saying that we should not read merely to pass our time pleasantly. The bad thing is that if someone reads a lot and has a strong memory, he may remember many things and may even talk a lot about what he has read, and thus deceive himself into thinking that he also personally observes the many things he reads. So he has created an illusion toward himself and others. So don’t be comforted by the thought that you read a lot. Instead, turn your attention to applying what you have read. Much reading alone will only educate you encyclopaedically. Isn’t that what they call it? — The goal, however, is to be transformed in a God-centred manner. I am not aiming to be a university professor where I would need to know many things. But if I ever need something from this worldly knowledge, I can easily learn it once I have acquired the God-centred knowledge. Do you see what I mean? — When one has a distraction, is it beneficial to concentrate through study? — Yes, one should read a little, something very demanding, in order to warm the soul. This keeps distractions and concerns under the lid, and the mind is transposed into a divine realm. Otherwise, the mind is diverted by whatever task is preoccupying it. — Geronda, when someone is tired or upset, he usually wants to read something light and easy, a short story or a novel, perhaps, or something like that. — Is there no spiritual book that is appropriate for such times? The purpose is not to forget one’s worry, but to be redeemed. Such light reading does not redeem. Novels, newspapers and television have no value in developing a spiritual life. Quite often even some religious periodicals are damaging to Christians, because they stir a foolish zealousness that leads to confusion. Take care. Do not read unnecessary things during your free time. Some reading matter is completely hollow, like a water-pumpkin; it is like looking in a haystack to find a kernel of wheat. Some people say, “Yes, but they relax me.” But how can they be relaxing, my good man, if they make you dizzy and cause your eyes to ache? It is better to rest by sleeping. You can learn much about a person’s spiritual state from what he reads. One who is very worldly will probably be reading indecent magazines. One who is less worldly will read less indecent magazines and newspapers. One who is religious will read religious periodicals, or contemporary religious books or patristic texts, and so on. — Geronda, which spiritual books are the most helpful? — The various patristic texts, which thank God are available by the thousands today, are very helpful. One can find whatever one needs and desires in these books. They are authentic spiritual nourishment and a sure guide on the spiritual path. However, in order to be of benefit to us, they have to be read with humility and prayer. Patristic texts reveal the inner spiritual condition of the soul, much as axial tomography reveals the inner structures of the body. Each sentence of the patristic texts contains a multitude of meanings, and each person can interpret them according to their own spiritual state of being. It is better to read the ancient text rather than a translation, because the translator interprets the original verse according to his own spirituality. In any case, in order to understand the writings of the Fathers one must constrain oneself, focus and live spiritually, for the spirit of the Fathers is perceived through and by the spirit only. Especially helpful are the Ascetical Homilies by Saint Isaac the Syrian, but they must be studied slowly so that they can be assimilated little by little as spiritual food. 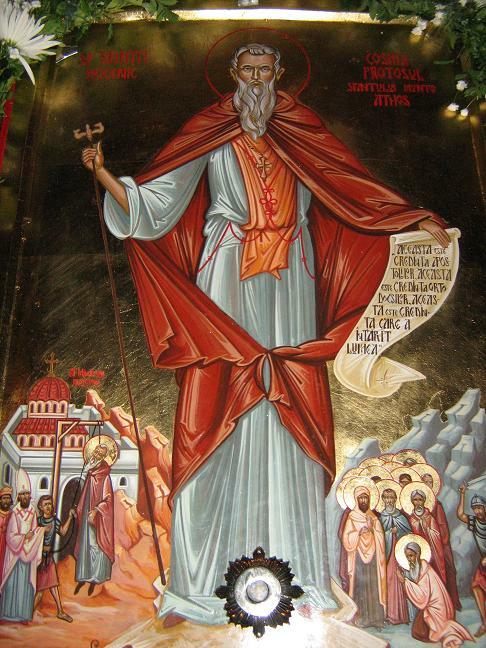 The Evergetinos is truly of great benefit, because it gives us insight into the Whole spirit of the Holy Fathers, it is helpful because it describes the struggles of the Fathers against each and every one of the passions, and, by learning how they worked on the spiritual life, the soul is greatly assisted. Also, the Synaxaria, the Lives of the Saints, are sacred history and very helpful, especially for young people, but they should not be read as stories. We do not need great knowledge to be devout. If we concentrate and meditate on the few things we know, our heart will be spiritually embroidered. One may be profoundly affected by a single hymn, while another may feel nothing, even though he may know all the hymns by heart, as he has not entered into the spiritual reality. So, read the Fathers, even one or two lines a day. They are very strengthening vitamins for the soul. 6. See Saint Isaac the Syrian, The Ascetical Homilies, Homily 1, p. 8. 7. A familiar anthology of ascetic and patristic sayings and incidents, which were compiled by the Monk Paul the Evergetinos, the founder of the famous Holy Monastery of the Theotokos Evergetithos (Benefactress) in Constantinople. It appears he loved another modern womanwhich is called the Papist Churchbecause our Orthodox Mother has not made an impression on him at all, for She is so modest. This love, which was heard from Constantinople, caused a sensational impression of sorts among many Orthodox, who nowadays live in an environment of such meaningless love, in cities across the entire world. Moreover, this love is of the spirit of our age: the family will lose its divine meaning from just such kinds of love, which have as their aim breakup and not union. If, for this or that occasional deviation of the Patriarchs, we separate ourselves and make our own Churchesmay God protect us!we’ll pass up even the Protestants. It is easy for one to separate but difficult to return. Unfortunately we have many “churches” in our times, created either by big groups or even just one person. Because there happened to be a church in their kalyve (I am speaking about things happening on the Holy Mountain), they figured they could create their own independent Church. Let’s pray that God will illumine all of us, including our Patriarch Athenagoras, that union of these “churches” will come about first; that tranquility would be realized within the scandalized Orthodox fold; so that peace and love would exist among the Eastern Orthodox Churches. Then let’s think about union with other “Confessions”and only if they sincerely desire to embrace Orthodox Dogma. Great harm comes of this; for while the one injures his neighbor, the other strikes him back before the eyes of all the faithful. Often times, disbelief is sown in the souls of the weak, because they are scandalized by such people. Unfortunately, some from among us make senseless claims against the others. We want them to conform to our own spiritual character. In other words, when someone else doesn’t harmonize with our own character, or is only mildly tolerantor even a little sharpwith us, immediately we jump to the conclusion that he is not a spiritual person. Again, I come sincerely asking pardon from all for being so bold to write. I am only a simple monk, and my work is to strive, as much as I am able, to divest myself of the old man, and to help others and the Church, through God, by prayer. But because heartbreaking news regarding our Holy Orthodoxy has reached even my hermitage, I was greatly pained, and thus considered it good to write that which I felt. Let’s all pray that God grants His Grace, and may each of us help in his own way for the glory of our Church. “When I was a child and my soul was still pure, I loved Christ very much. I used to walk in the woods carrying a cross in my hands, chanting and praying and wishing to become a monk. My parents told me that I should first grow up and then leave to go to the monastery. One day, as I was taking my usual walk in the woods, I met a fellow villager. When he saw me carrying the cross, he asked me; “what is this?” “The Cross of our Christ,” I replied. Since he did not have any positive thoughts in his mind, he said to me, “Arsenios, you are silly. You don’t mean to say that you believe in God. He does not exist. These religious stories are made up by some priests. We have evolved from the monkey. Christ was simply a man like all of us. When he finished, he got up and left. His twisted thoughts filled my innocent soul with black heavy clouds. Being alone in the woods, I began to think that maybe God does not exist. As I was feeling confused, desperate and extremely asked, I asked Christ to give me an indication of His existence, so I could believe in Him. But He did not respond. Feeling exhausted, I lay on the ground to rest. Suddenly, a positive thought, full of philotimo (responsive gratefulness), entered my innocent soul; “Hold on for a second! Wasn’t Christ the kindest man ever on earth? No one has ever found anything evil in Him. So, whether He is God or not, I don’t care. Based on the fact that He is the kindest man on earth and I haven’t known anyone better, I will try to become like Him and absolutely obey everything the Gospel says. I will even give my life for Him, if needed, since He is so kind. As the story of the Elder regarding his grateful thought did not completely satisfy me, I asked him with a certain curiosity to tell me about the miracle he experienced I the woods. Father Paisios was found in a difficult position and replied that he could not tell me about it. This way, he indicated that I, too, should not look for miracles, but rather trust my feeling of philotimo (responsive gratefulness), as it is the key which opens the door to every good. Later on, Father Paisios told me that he had seen the Lord. 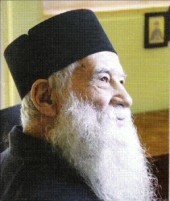 “Today, Fr Paisios left the hospital. There were many people there. We were told that he would give his blessing in the reception. Lots of people, women, doctors, nurses, even the ailing, were swarming besides him. He lifted up his hand and said goodbye to those sick in the other rooms. There was this man, who had the drip on his hand, who bowed to kiss Fr Paisios’s hand, but Fr. Paisios kissed his instead. While standing in front of the elevator, he blessed us all. He went into the elevator to go down to the street. We all ran down the stairs to see him for the last time. People surrounded the car while snowflakes danced on the street. The nurse was admonishing us so that people would let him get in the car, because he was sick and very weak.